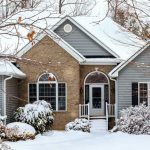 Save Money with a Hail Resistant Roof in Overland Park! - The Roofing Man, Inc.
Save Money with a Hail Resistant Roof in Overland Park! The Roofing Man, Inc. > Overland Park Roofing > Save Money with a Hail Resistant Roof in Overland Park! Hail is a regular spring and summertime occurrence in Kansas and Missouri. Hail damage to your roof is costly to fix, and often requires a full re-roof. Why is hail damage such a problem? Many people assume that the damage caused by hail is merely cosmetic, and isn’t cause for concern. This is not true. When hail hits your roof, the protective granules are knocked off where the hail strikes. Over time, the damage will accelerate and eventually cause problems. If you suspect hail damage but can’t see it, or assume that it is just minor, definitely call a trusted local roofing contractor to inspect your roof. It is important to identify damage before it becomes a problem and to file a claim with your insurance company to make sure that you are properly covered. While your roof will not leak immediately after hail damage, over a few years the damage will get bad enough that leaking can occur. The good news is that many insurance companies will provide a significant discount on your home insurance premium if you replace your residential roof with approved impact-resistant materials. 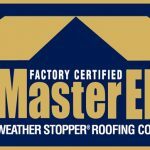 Choosing roofing materials wisely in order to withstand our Kansas and Missouri climate and weather conditions helps save everyone time and money. While the amount you save by choosing hail impact-resistant roofing materials depends on your insurance company, the savings can be very significant, upwards of 20% annually. Make sure you check with your insurance company to see if you qualify for a discount, and in order to choose impact-resistance roofing materials that are included in your insurance company’s discount program. Please note – the following links are provided you’re your convenience, but please check with your insurance agent to get the most up-to-date information about roofing insurance discounts. More information about State Farm’s discount program is location here. More information about American Family Insurance’s discount program here. The Roofing Man works with GAF, CertainTeed and Malarky, all of which have roofing options included in State Farm’s list of approved roofing manufacturers. 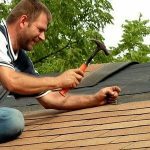 The Roofing Man is very experienced in the identification of hail damage and in working with Insurance Companies to provide required documentation for roof replacement and insurance discounts. Call Chris at (913) 381-2940 for a quote on residential roof replacement or repairs in the Kansas City area, including Overland Park, Olathe, Gardner and throughout the metro area. Is Your Kansas City Roofing Contractor Accredited by the Better Business Bureau? The Roofing Man is!